FTP Client Softwares are important regardless whether you have root access or not.FTP Client Softwares are GUI based way to upload,download, edit, delete files. Here is a big list of FTP Client Softwares along with some guide. If you are a starter, its important for you to understand the differences between FTP and SSH. Secondly, you can actually access FTP under Windows without any client software, like we wrote in Access Rackspace Cloud FTP From Windows PC Without Any Software. 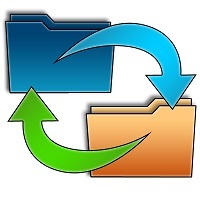 Thirdly, there is no ‘recycle bin’ or ‘trash’ in server, if you delete an important file, it will get deleted forever. Images, texts can be retrieved using Google’s Cache, but it is not a gureented way for sure. It is safe to rename or move than delete using FTP Client Softwares. Please learn to backup the folders first before doing anything, unless you are used with FTP. SFTP is the secured protocol and not all FTP Client Softwares support SFTP. FileZilla : Most Widely known among the FTP Client Softwares. It supports SFTP and FTP. Its good to take backup. The interface / GUI is not easy to understand for a beginner. WinSCP : In a previous article we wrote that, WinSCP is the best SFTP, FTP software among the FTP Client Softwares. Its best, but not good for taking huge backup, FileZilla can serve that purpose better. Otherwise practically every need is satisfied by WinSCP. FireFTP : FireFTP is a free, secure, cross-platform FTP/SFTP client for Mozilla Firefox. It a bit unique among the FTP Client Softwares. Cyberduck : Cyberduck is FTP, SFTP and pseudo directory browser for Cloud storages. It is written in Java. NcFTP : Grand Daddy of all Open Source FTP Client Softwares. It was available since 1991. Fetch : Mac only. Its the oldest among the FTP Client Softwares (1989) . Owner Jim Matthews won Who Wants to Be a Millionaire contest and purchased the name and source code later ! There are lot of paid FTP Client Softwares. We tested two and listed here. ExpanDrive : ExpanDrive is a file system client for Mac OS X and Microsoft Windows. FTP Explorer : Quite well known among paid FTP Client Softwares. We listed the FTP Client Softwares professionally, but you need not have to install all the softwares. Use the suggested by us first, if needed then try another one. This Article Has Been Shared 6580 Times! Cite this article as: Abhishek Ghosh, "FTP Client Softwares : A Nifty List," in The Customize Windows, August 9, 2012, April 21, 2019, https://thecustomizewindows.com/2012/08/ftp-client-softwares-a-nifty-list/.